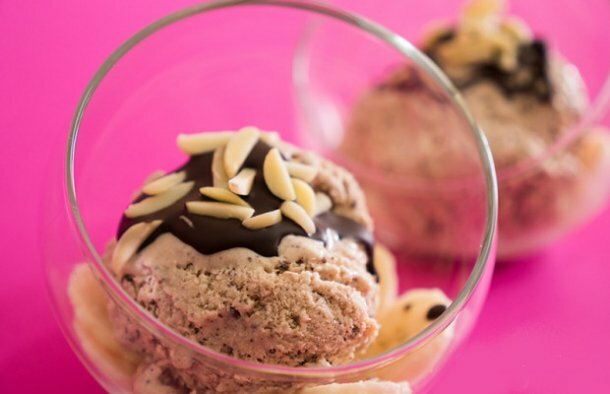 Serve this delicious Portuguese banana and yogurt ice cream with banana slices, melted black chocolate and chopped almonds or walnuts. In a blender, place the bananas, sugar and yogurt and blend everything until it is creamy. Beat the light cream until smooth and consistent. 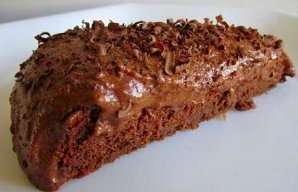 Mix the beaten light cream gradually with the banana mix and stir with a spoon, finally adding the chopped chocolate. Place it in a freezer and beat it a little every 2 hours. When the cream is frozen, it is ready to serve. 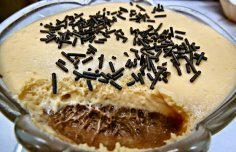 How to make Portuguese double chocolate mousse. 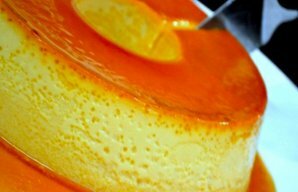 This Portuguese cheese flan (Pudim de Queijo) recipe is a great dessert for those who enjoy a nice combination of sweet and sour and it's very simple and easy to make.